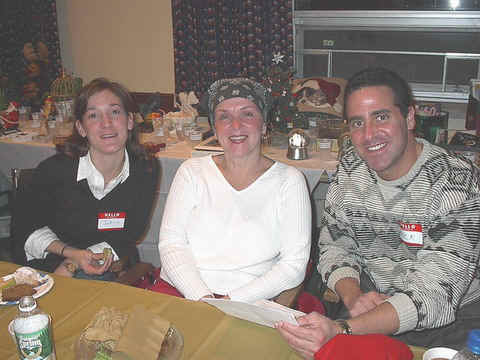 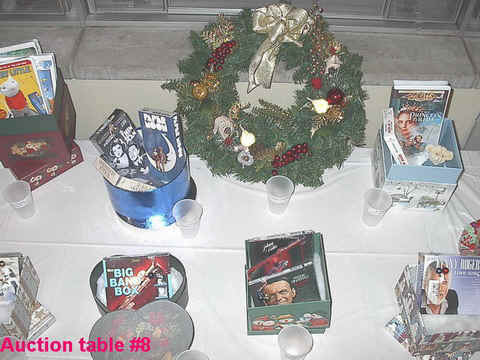 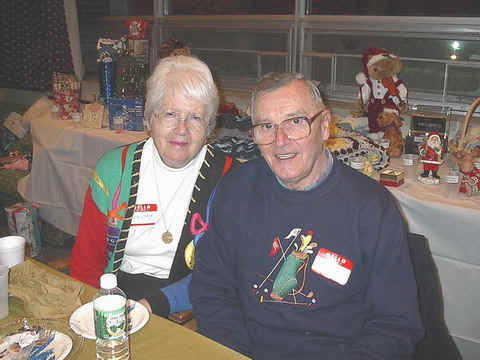 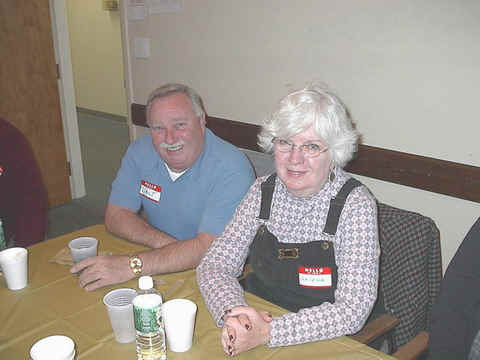 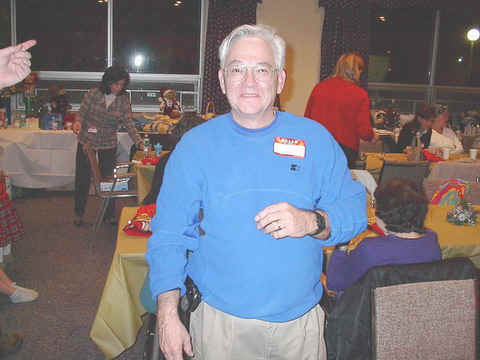 The December 4, 2003 meeting was our annual holiday party. 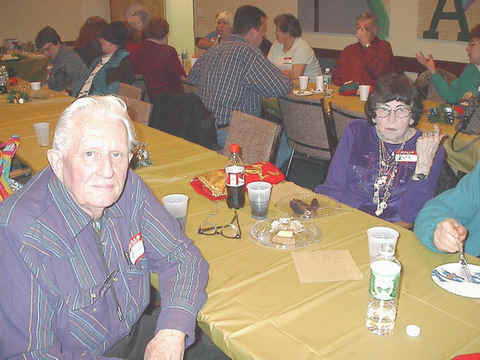 We just have an old fashioned "pot luck" dinner. 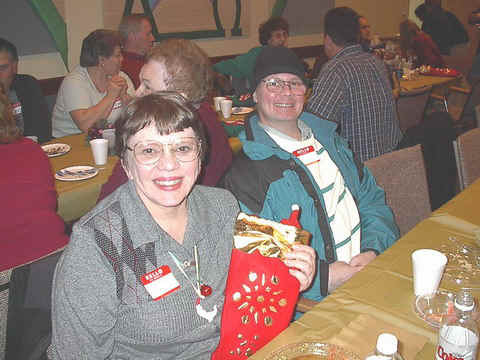 Members bring whatever food they wish to share with our group members. 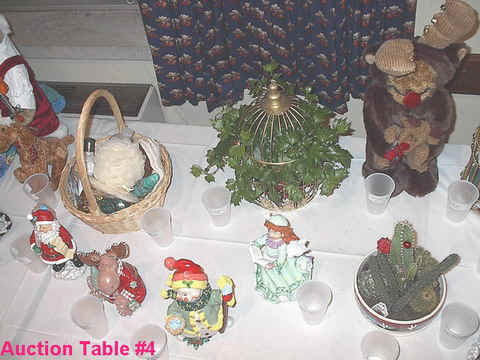 We had such a variety of foods and if anyone wend away hungry....it was their own fault. 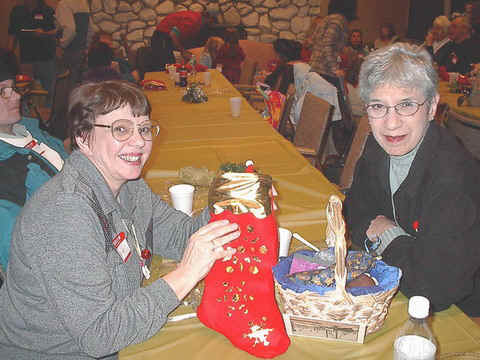 Virginia and her sister, Nancy from California, made Christmas stockings and Chanukah baskets with a variety of surprises inside for group members. 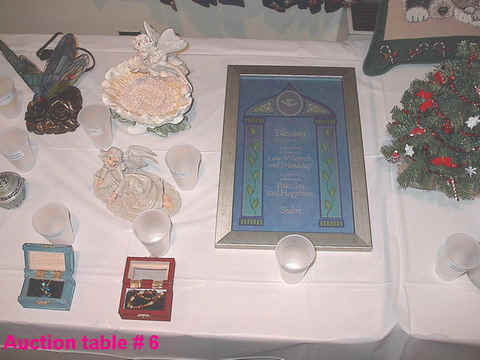 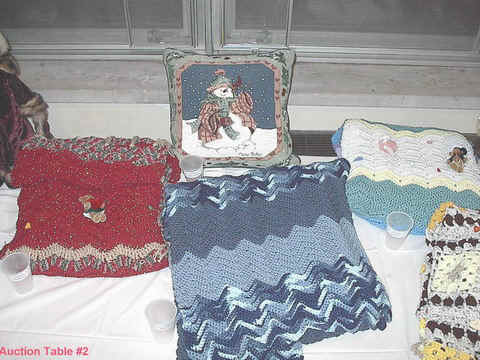 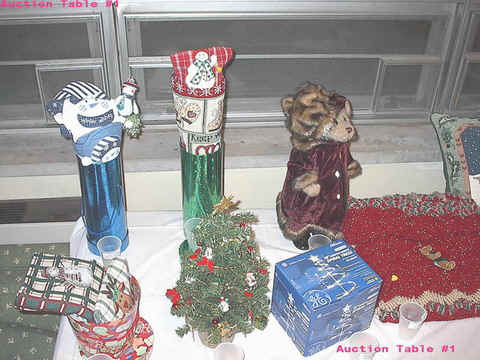 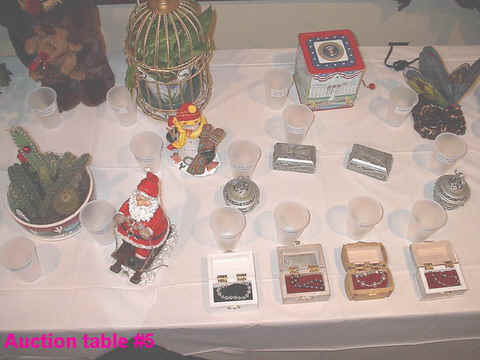 They also made many craft items and purchased some items that were auctioned off to group members in a silent auction. 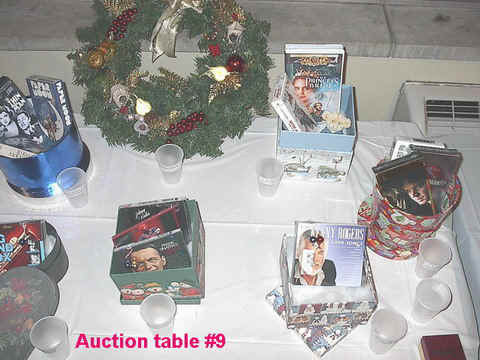 Dot Miller, Evelyn Shaw and Gert Zdanowski were among the group members who also donated items for the stockings and/or the silent auction. 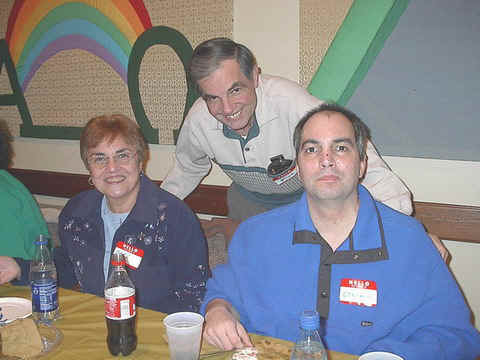 I hope everyone had a great time, I know I did. 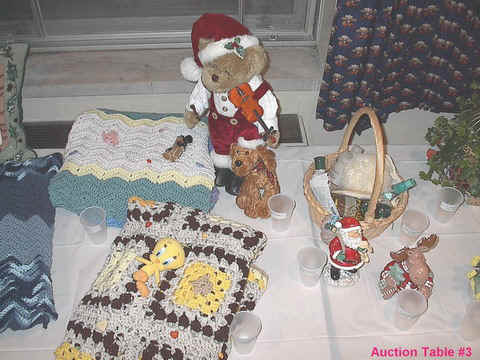 And I believe everyone in attendance took home at least one auctioned item. 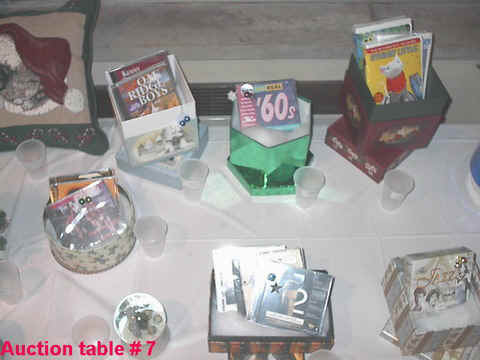 Here are some pictures that were taken at the party. 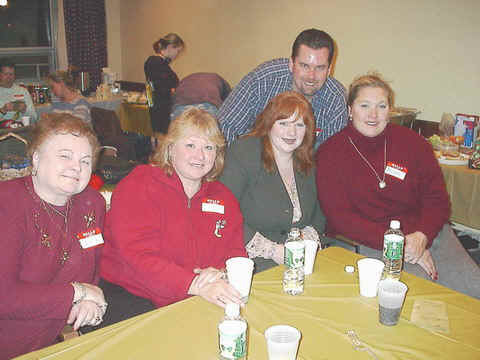 Dorris(Allison's mother), Janet & Laura, (sisters), Phil and Allison Hofmann- Kwasek. 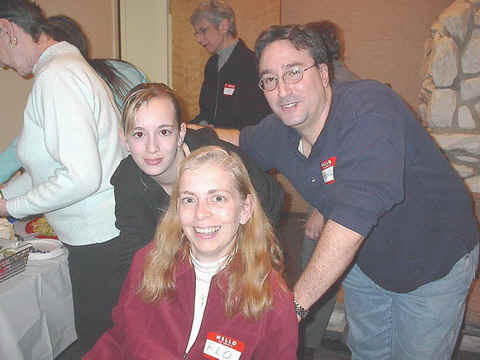 Allison and Phil were married in October 2003. 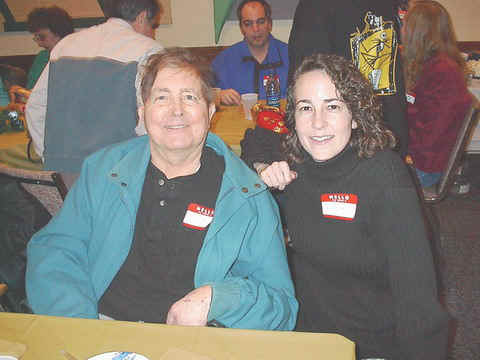 Fred and Lena Esposito. 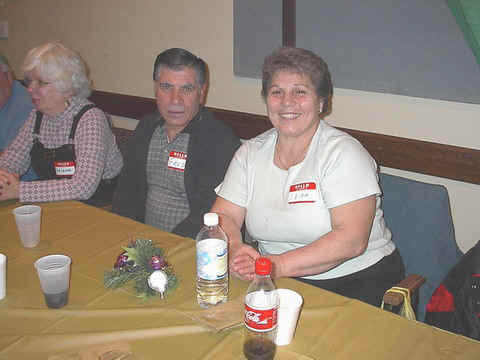 Lena is an original member of the group when it was founded in 1991. 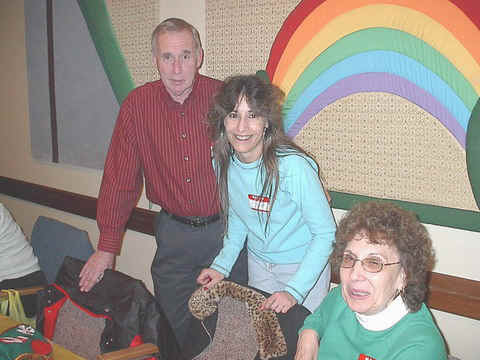 JoAnn Sei, her mother Barbara Tona and Rick Miller the representative of Guilford Pharmaceuticals the makers of the Gliadel Wafer. 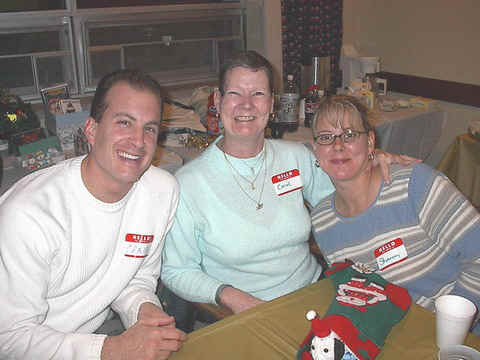 Craig Yannuzzi, Carol and Sharon Marosi. 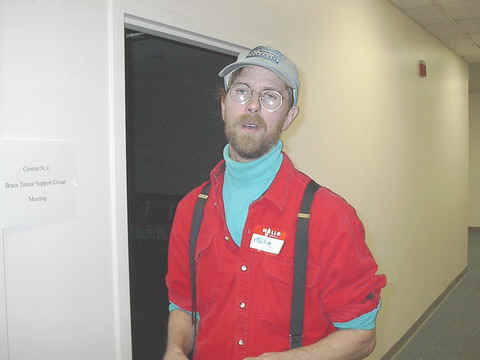 Craig is also a representative of Guilford Pharmaceuticals the makers of the Gliadel Wafer.